A customer co-op has shown how it can create widespread action with one decision. You’ve likely heard of REI‘s (Recreational Equipment Inc.) move to close on “Black Friday,” November 27th, and urge people to go outside. The bold move drew attention from the marketing and media world. “One of the most powerful forces in outdoor retailing,” says a Forbes article, made a strategic customer satisfaction move. The short-term loss of sales seems gutsy explains the article, but the long-term aim can increase meaning and authenticity for REI. As a Fortune article explains: “REI is able to make decisions with longer term impacts in mind.” But it was the contribution to society that I personally witnessed on Friday November 27. 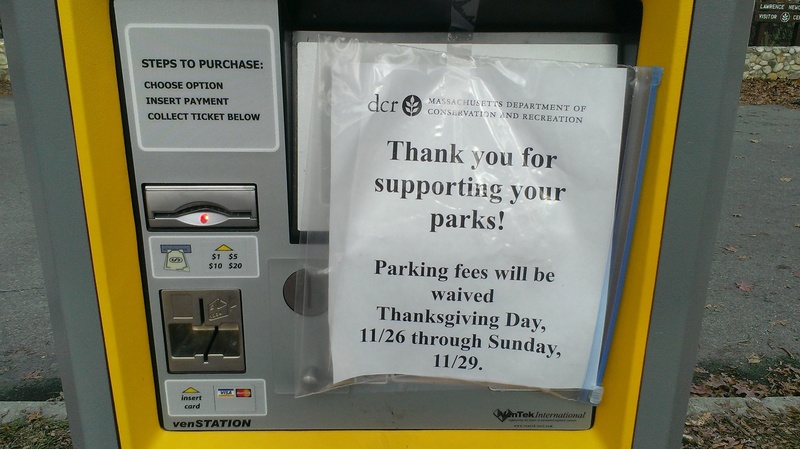 A local park was free of charge November 26-29 as part of a nationwide trend following REI’s announcement, and California’s subsequent announcement, see NBC’s report, to make parks available free of charge. Borderland State Park in Massachusetts is free of charge following a nationwide trend started by REI. The cause and effect intrigued me. As I went for a hike, inspired by the trend, I was awestruck by the crowd, and full parking lot, of others doing the same. Mild weather had a lot to do with it, but the influence of REI was obvious to me. So why would REI buck a retail trend and lose money? Combined with the counter-intuitive financial business benefits, positive social impact is integrated into cooperative decision making where governance isn’t dependent on the guidance of few; guidance comes from all member-owners. This introduces the human element into the business equation. A Yes Magazine article about the REI co-op explores the potential impact on vendors, supply chains, employee rights, and an equitable economy. A business move such as this comes down to who can decide within the organization. In this case the customer member/owners affected change. I think we all want more decision making like this for our health and for smarter business.